With the advancing technology, smartphones are becoming increasingly powerful and their abilities are ever growing. Of late, flagship smartphones sport almost 6GB of DDR4 RAM which is more than the RAM of a normal laptop. While you use a 1080p TV at home, the resolution of the screen of the best smartphone has moved up to 2K. What’s more, the camera quality is equalizing that of DSLRs with every new smartphone. Here are top 5 smartphones you can purchase in India in 2017.
iPhone 7 Plus may resemble iPhone 6S Plus, but except the looks, it’s an altogether new phone. There are even two significant updates. Firstly the iPhone 7 Plus features a dual camera setup to capture truly good images, and secondly, an all new Apple A10 chip is available to power it up. Finally Google has entered in phone-making with Google Pixel XL. After partnering with various phone-makers in the world for years, Google has now produced everything in this phone from the software to the design. The device is Qualcomm Snapdragon 821 powered and is by far the best Android smartphone today. Its design is very familiar and it has an awesome 2K display and a brilliant camera which can easily compete against that of Samsung Galaxy S7 Edge and even of iPhone 7. It was Samsung who brought its first flagship smartphone to India. With Galaxy S7 Edge, Samsung has updated its specs sheet and refined the entire metal and glass design it brought with the Galaxy S6 range. The phone has been also made waterproof now and it allows microSD card up to 200GB. An all new Exynos 8890 SoC which is one of the fastest in the business has been employed on the new Galaxy S7 Edge. The phone is equipped with 32GB of internal storage and 4GB of RAM. 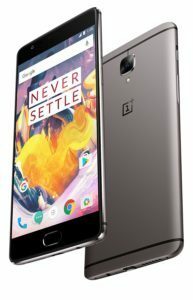 The OnePlus 3T is an all rounder offering the best performance to price ratio, as far as flagship smartphones are being discussed. This is the first phone by OnePlus which is all metal and while it is HTC one M9’s reminiscent, its design is still very good. It features one of the most powerful SoCs, i.e. Qualcomm Snapdragon 821. It has been equipped with a 16MP camera which offers OIS as well as PDAF support. LG has not only launched its flagship smartphone in the form of LG G5, but also the first modular smartphone in the world. It’s also the first smartphone from LG that offers metal build as well as a fingerprint sensor. It’s powered by Qualcomm Snapdragon 820 SoC and has 32GB of on-board storage and 4GB RAM, together with microSD card support up to 200GB. Find the best phone under 30000 on BestPhone.co.in. Here you will get complete information of these phones so that you can take an informed decision and guaranteed satisfaction.